Everything you need for your permit! For password use 8-32 characters, with at least 1 number, 1 upper-case letter, and 1 lower-case letter. Already started the course? Log in! Already have an FLVS student login? Click here. Need the traditional TLSAE/Permit Exam? Click here. It's free. The online drivers education course at Florida Virtual School (FLVS) is free to public, private, and home school Florida high school students. Everyone's welcome to take this course—whether you're brand-new to FLVS or already an FLVS student! You'll earn credit. This course will go on your high school transcript! It's taught by a Florida-certified teacher, and you will get a half credit for completing this elective course. You get to study your way. Your course is available online 24/7, so you can learn on your own time. You'll earn your permit. You can take this drivers ed course to fulfill the Traffic Law and Substance Abuse Education (TLSAE) training requirement! Everyone has to complete TLSAE training in order to earn a permit, and eventually a drivers license. You'll save money. Many car insurance providers are willing to extend additional discounts if you complete Florida teen drivers education! Check with your insurance provider for details. Never taken a course with Florida Virtual School before? No problem. New students are welcome to take this drivers education course too! Sign up with FLVS to get started. Have you already taken a course with FLVS, or are you in an FLVS course now? Click here to log in and register for your Florida teen drivers ed course. FL teen drivers ed gets you ready for the written permit test and in-car lessons. You'll learn to prevent and handle all types of road hazards and emergencies. 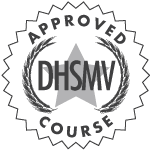 This DHSMV-approved course covers road rules, signs, handling different weather and road conditions, avoiding collisions, sharing the road with other drivers, and more. Our interactive lessons are proven to help you learn better, with videos, 3-D animations, and case studies to help you understand and remember the information you need to be a safe driver. We have over 25 years of experience teaching drivers education, and we're experts on traffic safety. 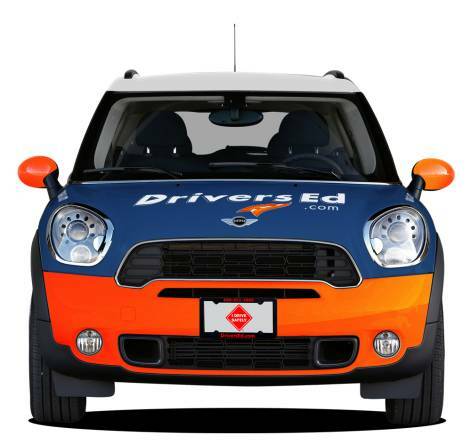 DriversEd.com is the only driving school in the country that is approved by the Road Safety Educators' Association and accredited by the Driving School Association of the Americas. Join more than 13 million drivers who have trained and earned their license with us! Florida Virtual School (FLVS) is an online public school dedicated to personalized learning. No matter where you live you can access more than 180 courses, from Algebra to AP Art History and even Drivers Education. The courses are real—just like the certified teachers who teach them. Public, private, and homeschool students from Kindergarten through 12th grade use FLVS courses to succeed on their own time and schedules. This DHSMV-approved Florida teen drivers ed course prepares you for the permit test and in-car lessons, and teaches you to prevent and handle dangerous situations on the road. When you successfully finish your course, you will receive a waiver for your 4-hour Traffic Law and Substance Abuse Education (TLSAE) training. The state of Florida requires all drivers to complete this training prior to taking the learners permit test. Please allow 48 hours for course completion to be processed by the state. Take the permit test online! Free! After you complete your Florida teen drivers education course, you'll be ready to take the learners permit test on road rules and road signs. With DriversEd.com, you can take the test online instead of at the DHSMV. Plus, It's totally free! Once you pass the test, you can pick up your learners permit.